Epic Games is on a spree for giving away free games and incentivizing gamers to join their platform. After releasing, it stood as a challenging competitor to Steam. It has only been a month since the release of the platform and developers are already starting to question whether they should change their distribution platform. From February 7 till February 21, players who log in to Epic Games Store can claim Axiom Verge for free and forever! They are currently offering Jackbox Party Pack for free till February 7. Note that the free version will only be available for the PC. You will not be able to get the PS Vita and Nintendo Switch versions for free. They also offered the classic indie game Super Meat Boy back in December, which was given for free only on the PC. 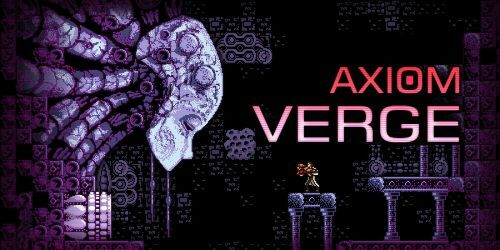 Axiom Verge is an indie game which is a Metroidvania style platform which is challenging, has a great plot and a classic take on some of the old NES Style platform shooters. The graphics of the game looks like it was made in the 90s but don't be fooled, most developers design Metroidvania style games this way. The game was released on Windows in 2015. Many have claimed that this game is even better than its Nintendo inspired games. This is not just a rehash of some of the classic NES titles, the game also comes with some fresh ideas. Some of the features include constantly upgrading your weapon arsenal. You will need it if you are going to face the challenging encounters in each level as well as really difficult bosses. If you are a fan of indie games and you have time to try out this short but really engaging game, you can get it soon on the Epic Games Store.